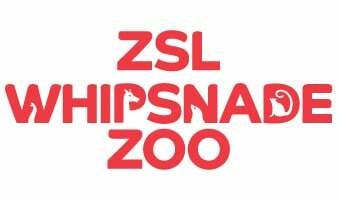 Get directions to ZSL Whipsnade Zoo by bus, train and car. ZSL Whipsnade Zoo is open from 10am every day of the year (except Christmas Day) with seasonal closing times. We now have Micro Trikes available to hire, for toddlers to effortlessly whizz around the Zoo, on your visit. Re-entry to the Zoo is allowed with a valid hand stamp from the main gate. Rollerskates, rollerblades, skateboards are not allowed on zoo premises. Children's scooters are permitted as long as they are supervised by an adult. Heelys roller shoes must not be used as skates, but may be worn as shoes. Get the most out of your day by learning more about the animals at the talks and feeds! Ride the bus around our Zoo to get from place-to-place in style at peak times. Click here to view our timetable. Let your little ones have a truly wild day out with Hullabazoo Adventure Play and Hullabazoo Indoor Play! Find out all about accessibility at ZSL Whipsnade Zoo. Help plan your wild day out with the ZSL Whipsnade Zoo map. The zoo has a variety of on-site catering outlets, perfect for anyone feeling peckish. Plan your group visit to ZSL Whipsnade Zoo and get discounted entry for groups of ten people or more!